In theory, you should now be able to click on an image to open up a bigger file. For some reason, the colour profiles of the small ones are coming out lighter and less warm than the big ones. Vernal. Once home to cuddly dinosaurs. 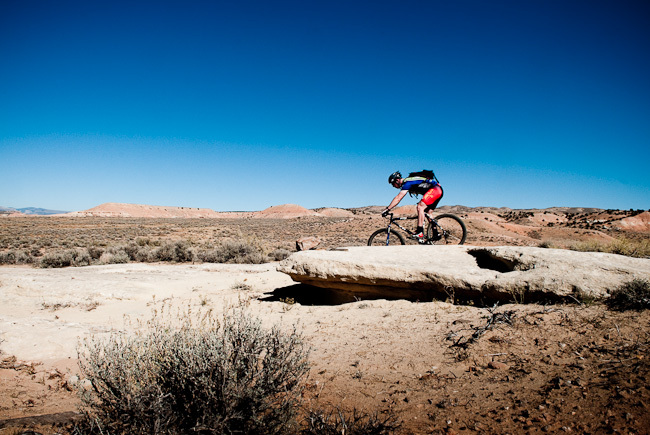 Now home to mormons and singletrack. Loaded up with a breakfast of sugary-coated cereal, then resting my backside gingerly on the newly-welded Brooks saddle, I bade farewell to my sunglass-toting hosts, Jim and Barbara in Manila. 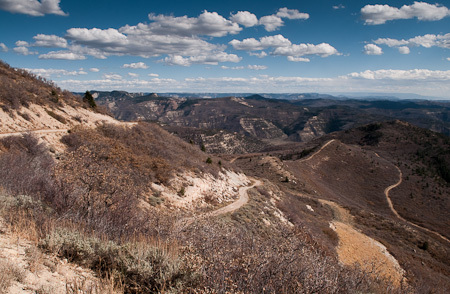 It was a long climb out of Flaming Gorge; hot and interminably rolling. A climb that forever seemed to lose as much altitude as it gained, it did finally breach the 8500 foot pass forty miles later. 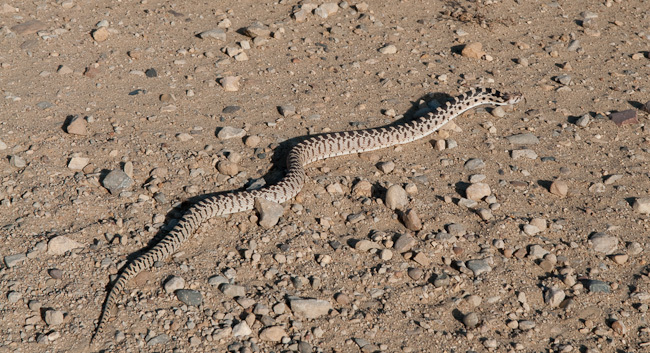 My original plans involved a dirt road detour beyond the top but in light of my damaged perch, I dove straight back down on pavement, finishing the day with a ten mile, ten switchback descent that unravelled almost into the backstreets of Vernal. Ten blissful miles of descent. The bike shop where I hoped to invest in a new seat was shut by the time I tracked it down on the fringes of town, so in a moment of wild abandon, I booked myself into a discounted room at the Sage Motel. Such indulgent luxury! As it happened, it was just the kind of independent motel I like. Cheap and quirky round the edges, it was run by a friendly Indonesian family, and when the back door opened, I caught a waft of Nasi Goreng. 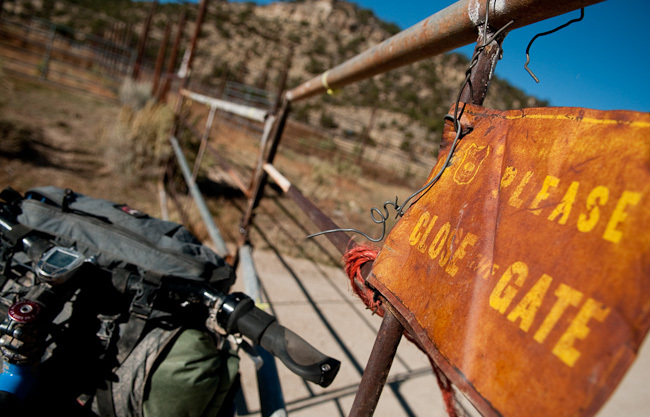 Just a few miles from the main drag in Vernal, a web of trails criss-crossed the desert. 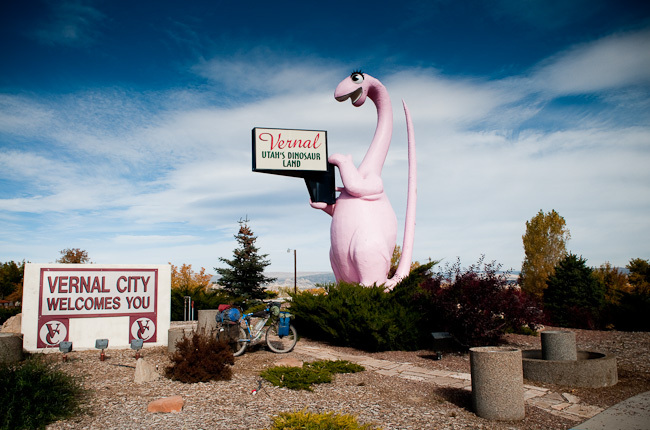 To be honest, I wasn’t expecting much from Vernal. 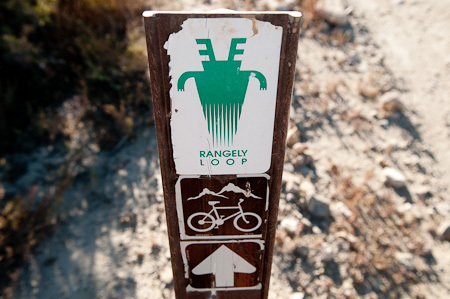 But as it happened, it had just hit the big time in mountain biking circles, thanks to a magazine feature on its brand new network of trails within easy reach of town. 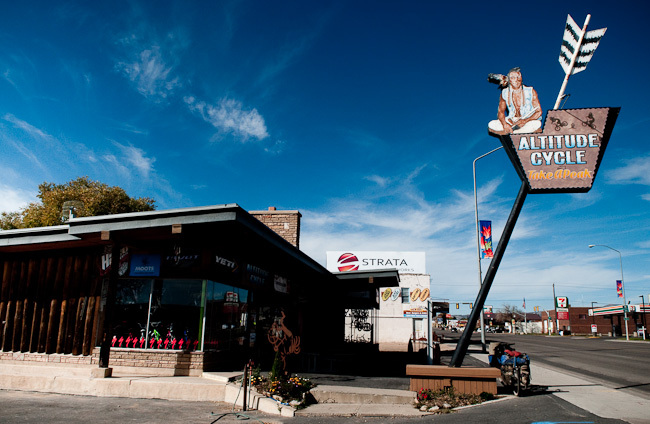 I liked its desert heat and oddball feel; the enormous, surreal and almost cuddly dinosaurs poking their heads high into the clear blue sky, and the faded, classic Americana shop facades in the older part of town. Blue skies in Utah. Thanks Troy at Altitude Cycles for donating me a saddle to keep me rolling. 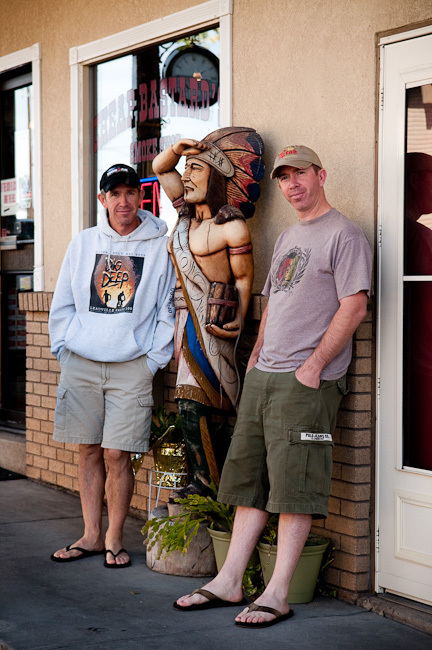 Two other mountain bikers had booked into the same motel, brothers Jim and Tim from Salt Lake City; Jim a keen mountain bike racer and Tim an extreme distance runner, before fatherhood took over a chunk of their lives. 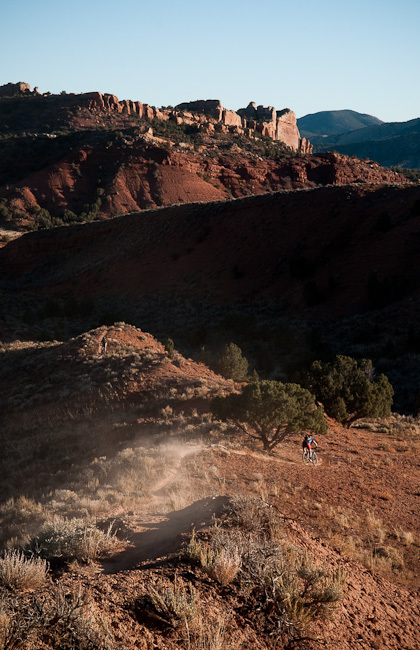 Over at Altitude Cycles, owner Troy’s unremitting enthusiam for the trails he’d been working on inspired me to strip down the bike and spend a ‘day off’ riding lovely, dusty singletrack out in the desert with the two brothers. Jim throwing some moves in the desert. Brothers Jim and Tim. They invited me to join them for a day's mountain biking, then kindly treated me first to lunch, then to a gargantuan Mexican dinner. I slept on their motel room floor the second night - thanks guys! So as often the case when travelling, a turn of bad luck was far outweighed by the experiences that came from it. Breaking my saddle rails resulted in a night at Jim and Barbara’s, and an impromptu stop in Vernal. Which in turn introduced me to Jim and Tim, whose company both on and off the trails I really enjoyed. ‘It’s a good earth’, said Jim. And I agreed. 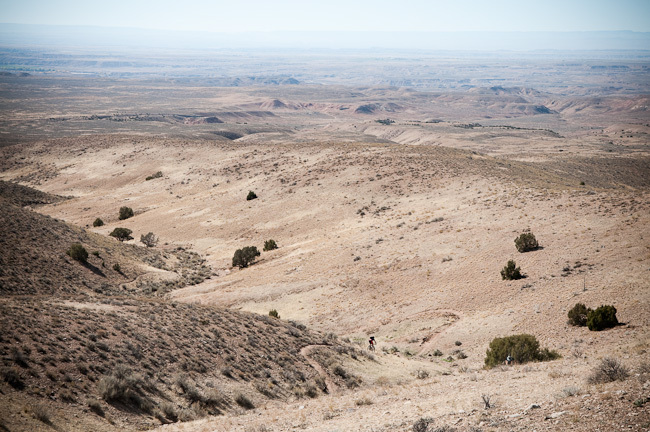 In the morning, we rode McCoy Flats and in the afternoon, we squeezed in a ride around the Red Fleet Trails. Then it was time to load up once more and head south, via the dirt roads of Baxter Pass, which would lead me me over the mountain range into Colorado. 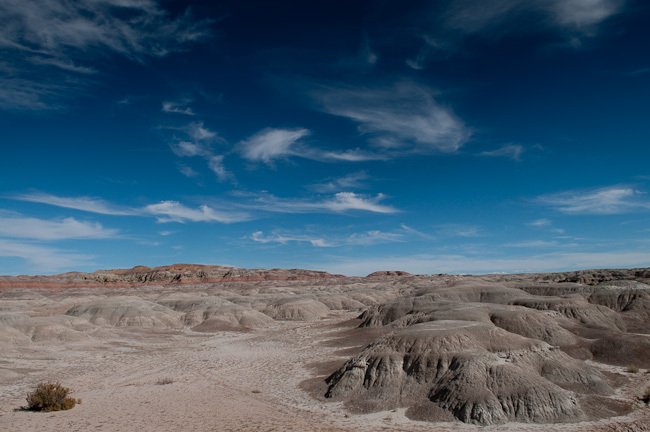 As I rode south to the wonderfully named but sinfully ugly Bonanza, the desert took on a surreal, wind sculpted, biblical quality. I would have had the valley to myself but for the profusion of hunters stalking the mountains for deer and elk, garbed in full camo gear, somewhat incongruous with their day-glo orange waistcoasts and baseball caps. All the creeks had dried up, so I flagged down pickups and asked for water. Everyone quizzed me on where I’d ridden from, and what I was doing out in the middle of the mountains alone. When I told them, they forced out whistling sounds from their mouths and shook their heads. Just to temper their perception of my madness, I often added that there was a couple on a tandem homeschooling their kid, and two brothers on a similar journey, one of whom was towing his dog in a trailer. ‘Well, I sure as hell don’t blame him for that,’ said one of the hunters, to unanimous nodding from his camo-clad friends, as if leaving a dog behind would have been far more of a surprise than the journey itself. One couple asked me simply, ‘So what are you going to do when you get there?’ It was a question no one had put to me before. ‘Er, fly home, I guess,’ I answered, seeing in a moment of clarity how so many people must view this journey. Happy to be camping out in the mountains. Do I look a bit like a stickman? Maybe I need to eat more. A biking trail! After a few ambiguous turns and some compass squinting, it was good to see this sign and know I was on the right track. The border with Colorado was cattle ranching territory. I stopped in at a hunting outfitters, and was warmly welcomed in by Bruce - see cowboy hat below - where I was offered a giant platter of elk meat cooked up by his wife. A group of hunters had gathered in the barn, where huge carcasses were hanging like pendulums from the rafters; one man was busy severing an elk's head from its 700lb body. For someone who's not been brought up in this kind of world, it was pretty gruesome watching him working away at the animal with his knife. But I figure that if I'm prepared to eat meat, perhaps this is a more natural way of experiencing how it gets onto my plate, rather than neatly embalmed in a styrofoam packet, purchased from the disconnected convenience of a supermarket. Rick was one of the guides, and we talked about the ethics of hunting. He argued that that many people are happy to eat meat pumped with chemicals from McDonald's, but balk at the idea of the 'blood and guts' of hunting. 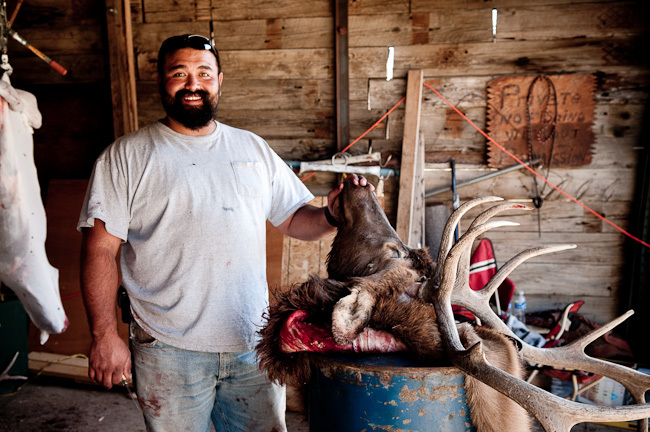 To him, living off the land and understanding where your food is coming from form the essence of hunting - the size and majesty of the antlers comes second. To me though, I still find the 'trophy sport' aspect of it - hunting for the thrill of the kill - hard to deal with. With a belly full of elk meat and a generous slab of carrot cake to top it off, I left the outfitters. From there, the track deteriorated as it began to switchback up the pass. 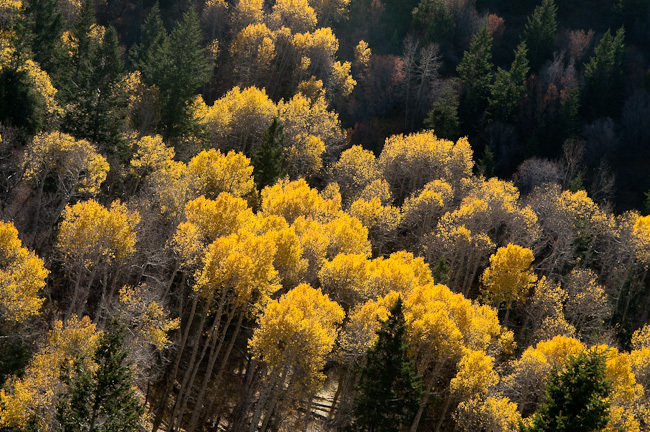 With the approach of winter, the aspens were turning, a blaze of colour burning across the hillside. When the wind blew, bright leaves fluttered to the ground like snowfall. At last, the top of the pass, at 8650 feet. From here, I'd been promised a white-knuckled, pedal-free descent. Which it was for the first 10 miles... Then a howling wind stirred into life, threatening to blow me back up the hill. 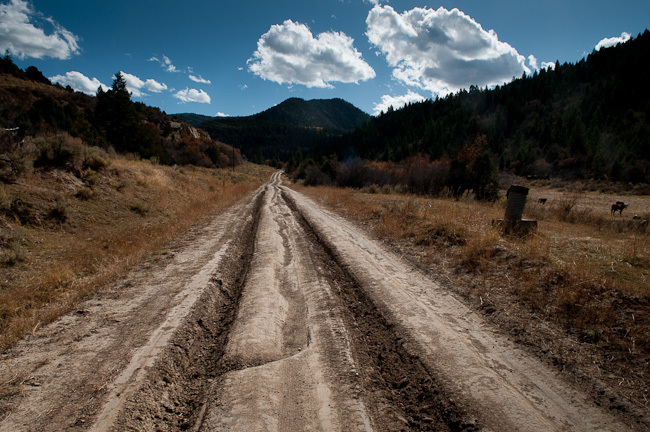 And the rock-strewn and washed out trail swelled out into a body jarring, filling-loosening washboard road. Both of which I were taking their toll on my spirits and energy supply. You can't see the two evils of bike touring in this picture, but they were there, believe you me. 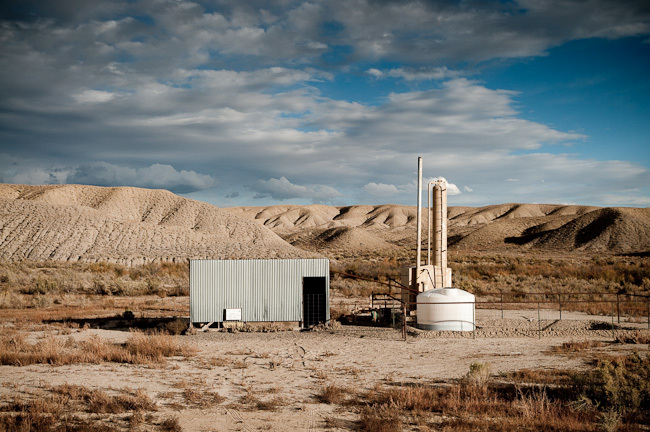 As I closed in on the highway came the incongruous sight of gas and oil stations, sprouting out of the otherwise empty desert like sets from a post-apocalyptic movie. Reaching sun-kissed Fruita has suddenly injected a little holiday-like spirit into the journey. 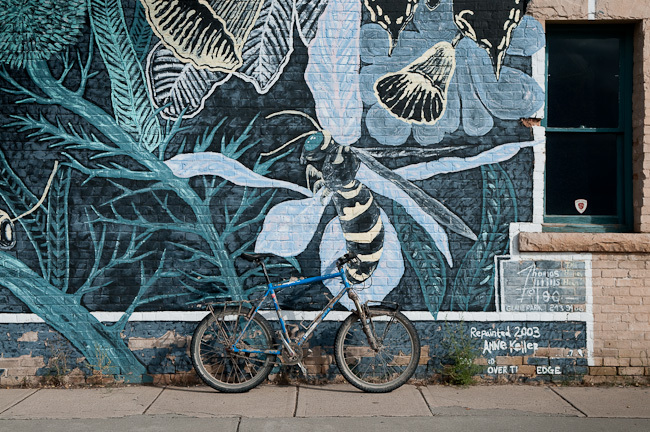 There's two great shops in town, Single-Tracks and Over The Edge, where a steady stream of visiting riders check in before hitting the trails. Pedalling into such a formidable headwind, I didn’t make it into town until dark, and luckily ended up sharing a campspot in the overpriced State Park ($20 for a tent!) with Craig, Bonnie and Dean from Canada, who’d been mountain biking in twin meccas of Fruita and Moab. 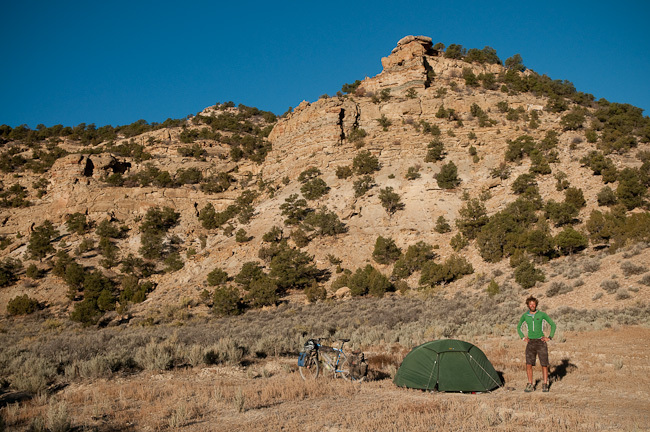 This entry was posted in Colorado, Utah and tagged Baxter Pass, Fruita, hunters, Manila, mormons, mountain biking, singletrack, Vernal on October 27, 2009 by Cass Gilbert. I know, I know! and the irony was, it wasn’t even snowing or minus 10!!! Thanks for such a great weekend. Jim and I keep talking about how lucky we were to have met you and hope we can cross paths again. I was so sad that you had to leave, the rides on Sunday and Monday ended up being incredible! We weren’t completely convinced that Vernal had a whole lot to offer, until we did “The Flume” trail on Sunday, an epic 5 hour 20 mile single track in the mountain pines with technical rock sections, and then Monday we went back out to Cabin Boy/Jass North of town and found amazing long sections of groomed single track mixed with red rock river beds and scenery in a couple 10 mile loops. Congrats on your epic adventure, and I look forward to your blog. 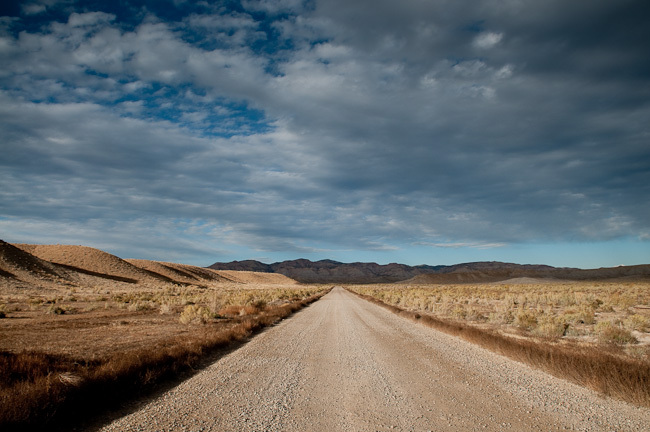 Enjoy the washboard roads…just wait till Patagonia! Steve, looking forward to your recommended breakfast. Hope you are healing well and stronger than ever!